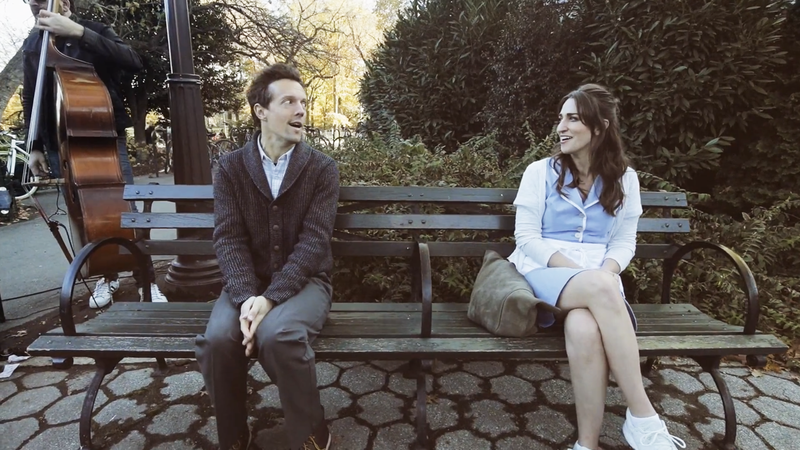 We already want seconds of this park bench performance! As previously announced, Sara Bareilles will step back into Waitress alongside her pal Jason Mraz beginning on January 16, 2018. Ahead of the two singer-songwriter BFFs joining each other at the Brooks Atkinson Theatre, they performed the sweet tune "It Only Takes a Taste" on a bench in Central Park in New York City, full band and all. Watch the performance, and get ready for these two to bring their golden vocals together on Broadway!